Disclosure: We were provided with this accomodation for the purpose of this review however all opinions are my own. 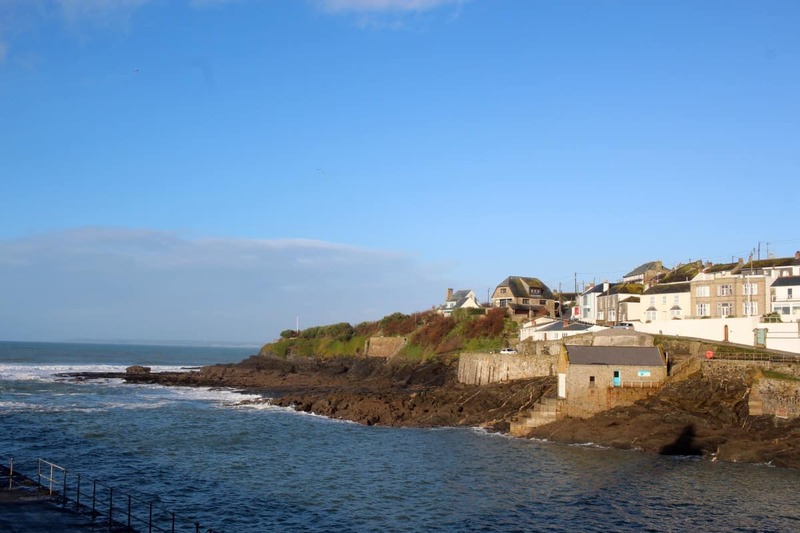 We spent the second half of our week in Cornwall at one of the Porthleven Holiday Cottages. 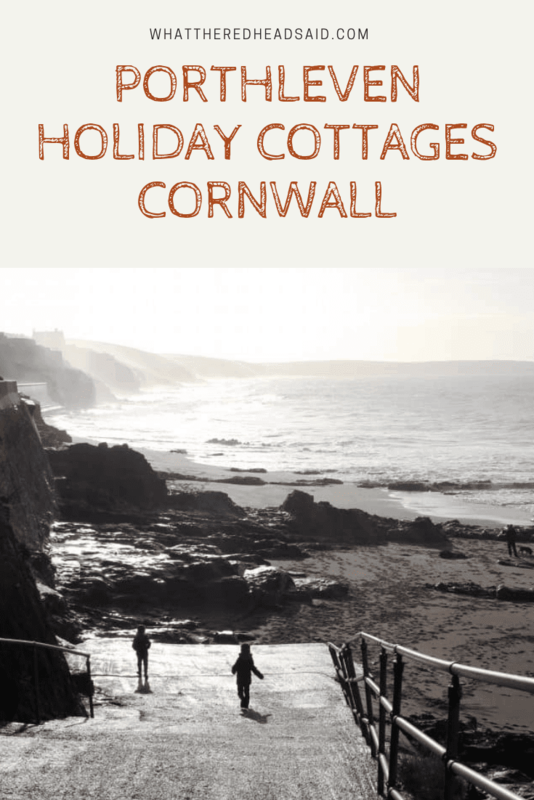 They have a whole host of cottages around Porthleven and it’s a part of Cornwall we hadn’t been to before so we were excited to stay and explore a little. 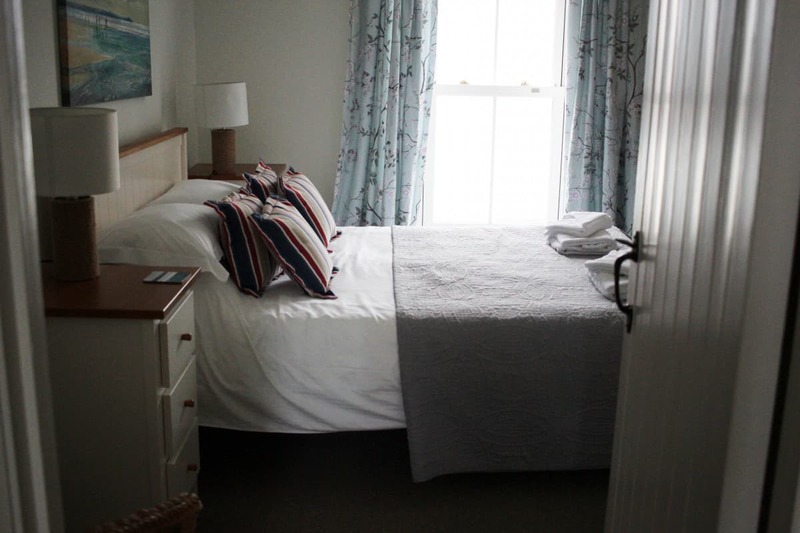 What was our first impressions of Porthleven Holiday Cottages ? 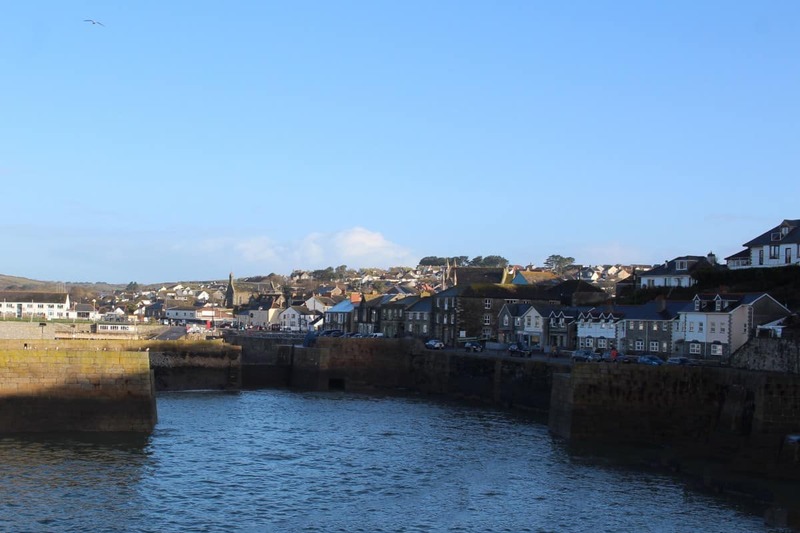 The great thing about Porthleven Holiday Cottages is that they have an office on the Porthleven quayside so if you need anything during your stay they are right there. They even have things like DVDs to borrow and so much local information. 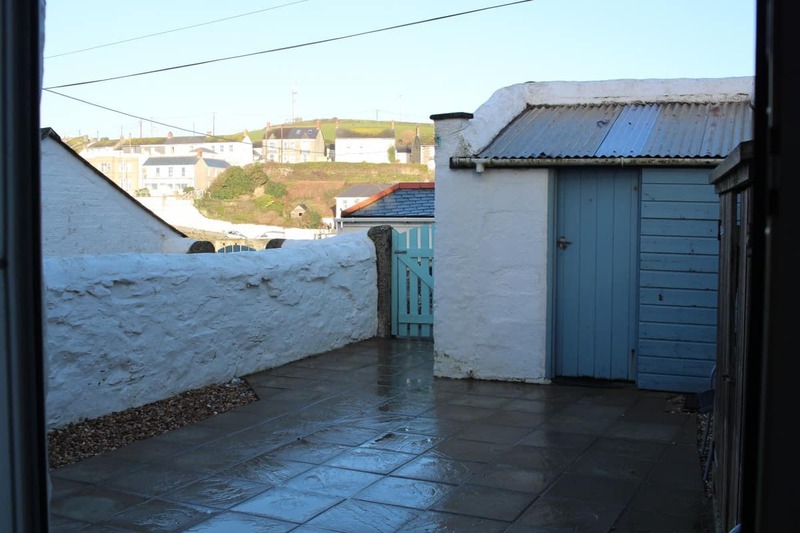 What was our Porthleven Holiday Cottage – Beach Cottage like? 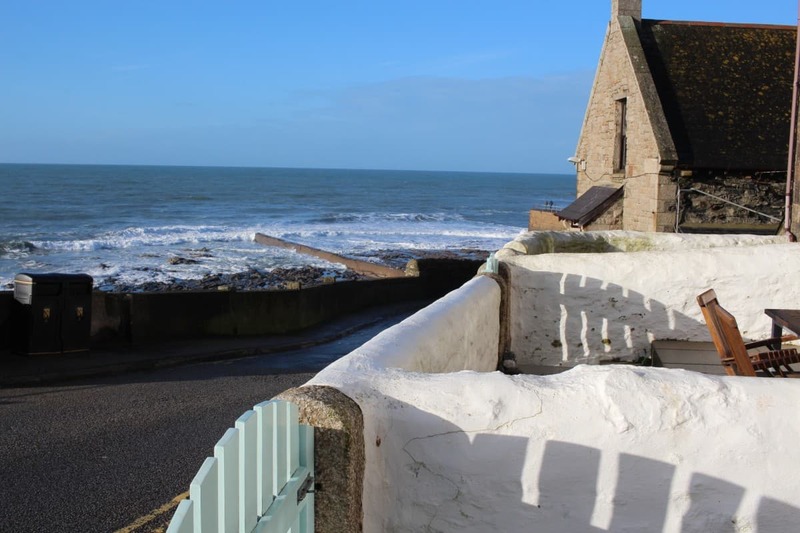 We had been booked to stay in Beach Cottage, a really lovely semi-detached cottage directly opposite the access to Porthleven Beach. The cottage had views of the beach from the front and harbour views from the back making it a pretty idyllic place to stay. The cottage had a little front courtyard and a paved back garden, both fully contained, giving space to get some fresh air, to have a barbecue or for the children to run around. As soon as we walked into Beach Cottage we felt at home. 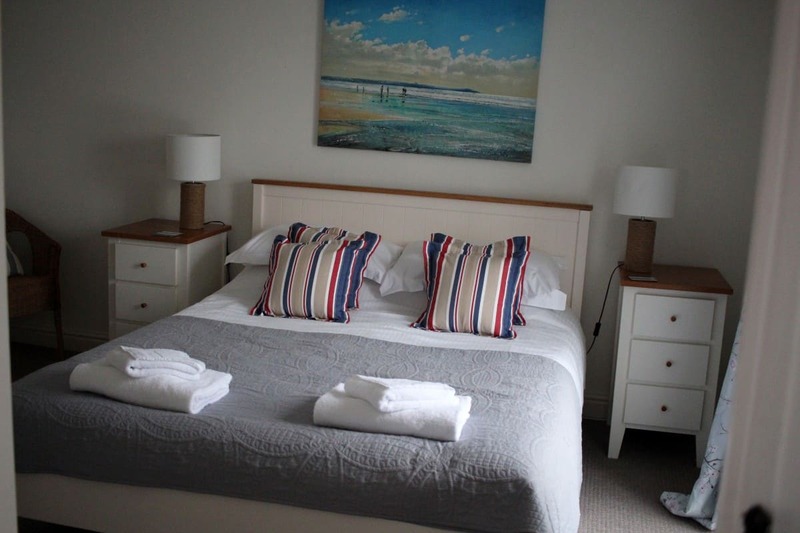 It had lovely coastal decor and was well suited to a family stay. Downstairs was a good size with a lounge, dining room and kitchen in an open plan layout. 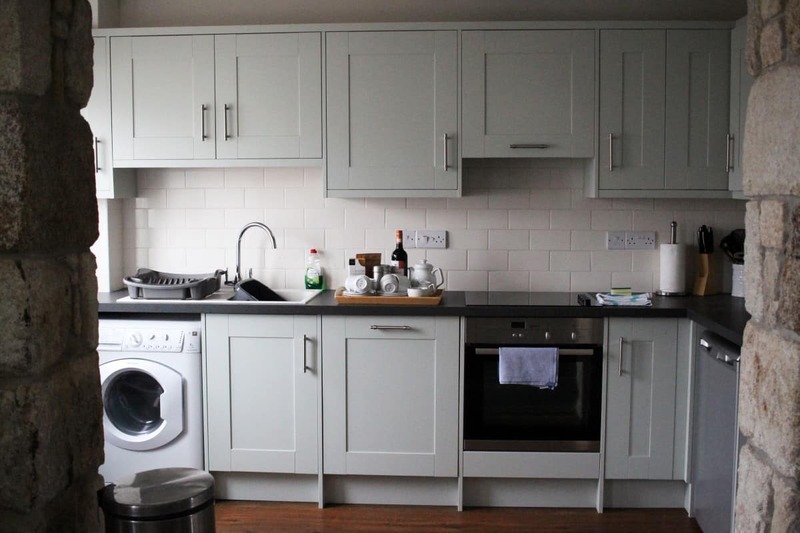 The kitchen had clearly been fitted recently and so was lovely and new, complete with everything you could need for a self catering holiday aside for maybe oven gloves. 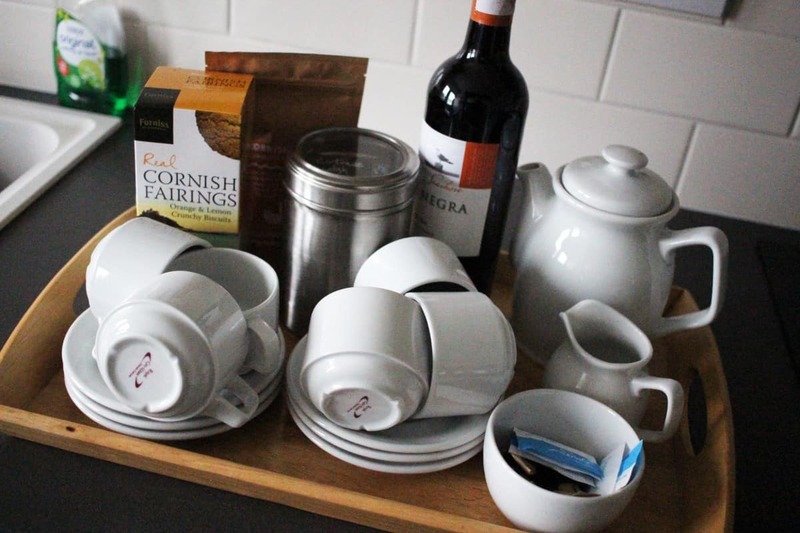 There was washing up liquid, dishwasher tablets, tea towels – and a lovely welcome tray of tea, coffee biscuits, wine and even milk in the fridge. 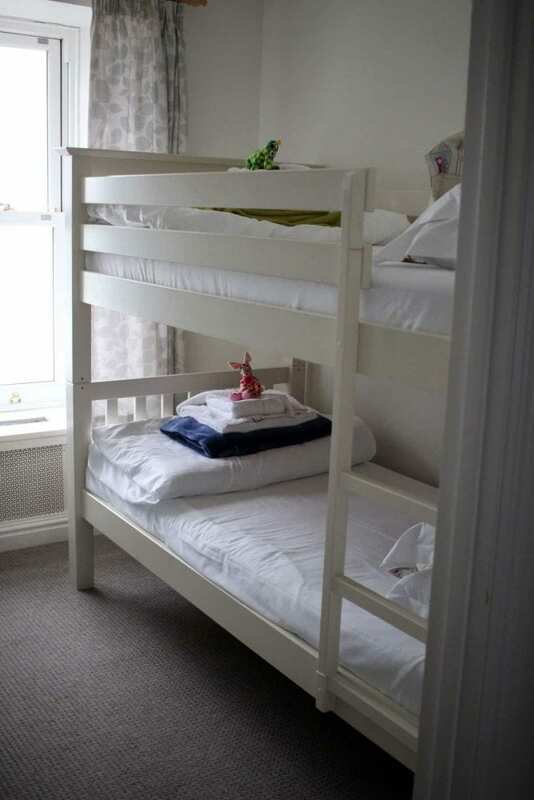 Upstairs there was a good size bathroom, a main double bedroom with en suite shower room as well as two more bedrooms – one a twin and one with bunkbeds. All of the rooms had spare blankets on the beds, lots of pillows, fresh towels and there were even complimentary toiletries too. 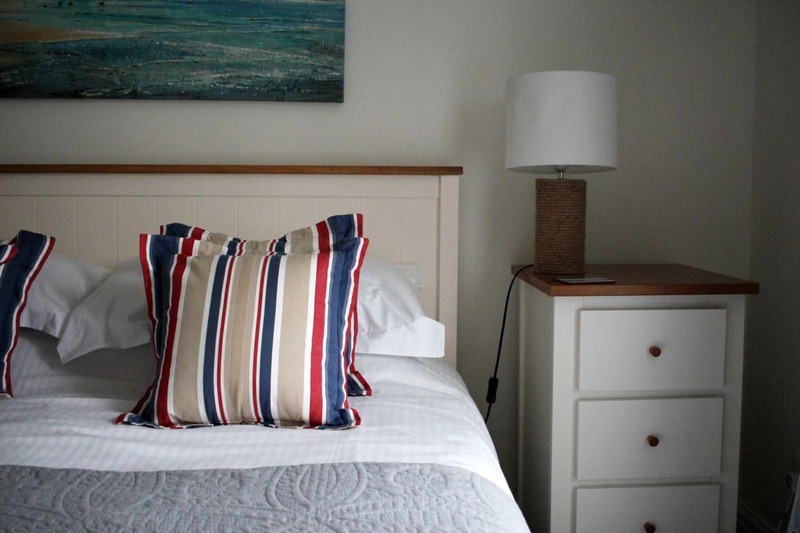 It was one of the best self catering properties we have stayed in – usually there is something you need to bring yourself but Beach Cottage had everything we needed. 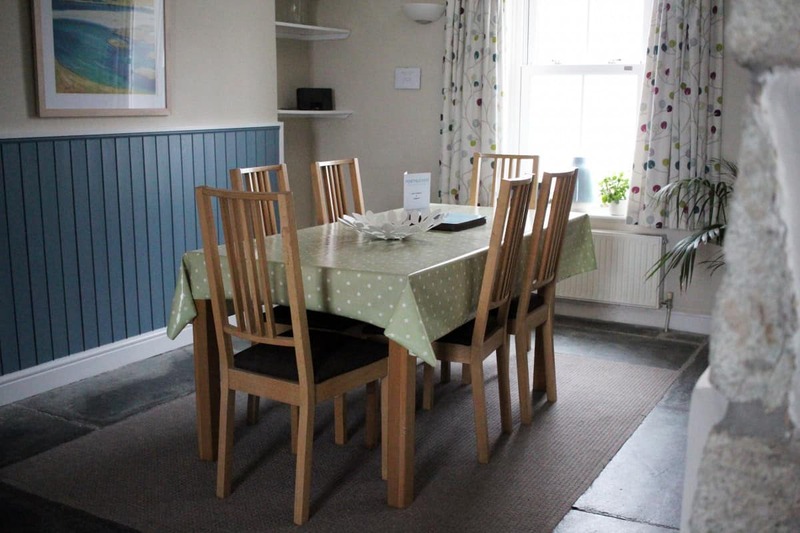 During our time at Beach Cottage we found it such a nice space to spend time in and relax. The paintwork in places was a little tired – just from it being a holiday let really – and we did find it a little cold at times but cranked the heating up to fix that. 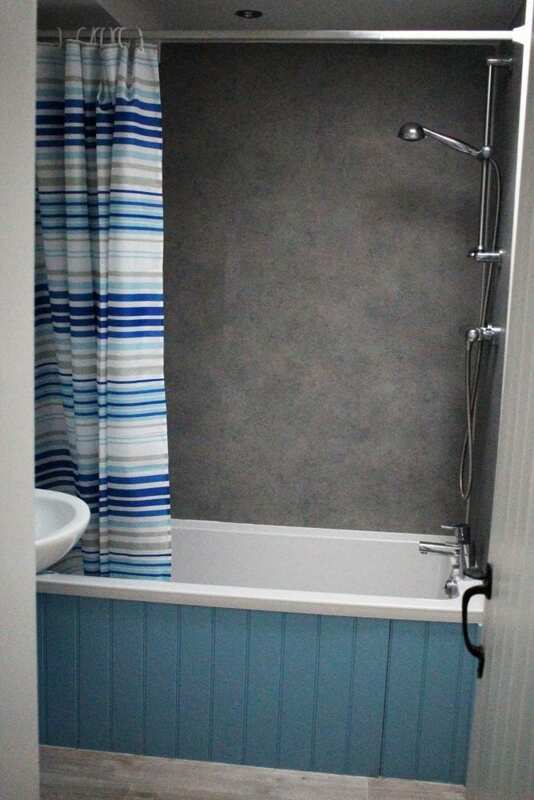 The only real thing that could be improved was the curtains as they were very thin in all rooms and as a family we’re used to black out curtains – the children woke before 7am each day when they usually sleep until at least 8am so better curtains would be a great addition. 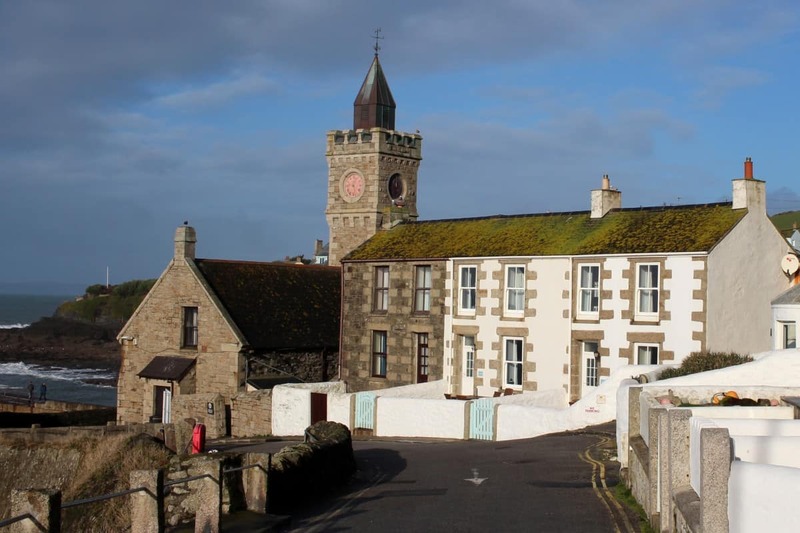 What was the local area around Porthleven Holiday Cottages like? 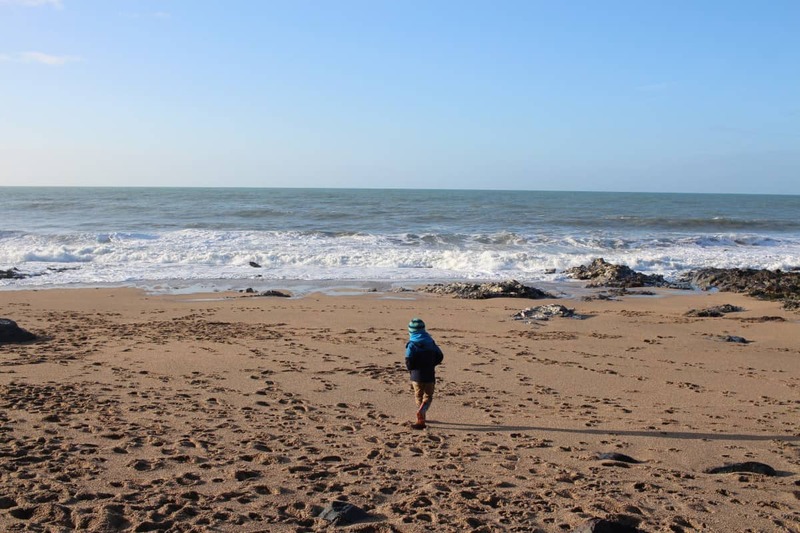 Aside from that though the children loved exploring the beach right opposite our front door and it’s just a few minutes walk down back routes to the main quayside where all the shops and restaurants are. 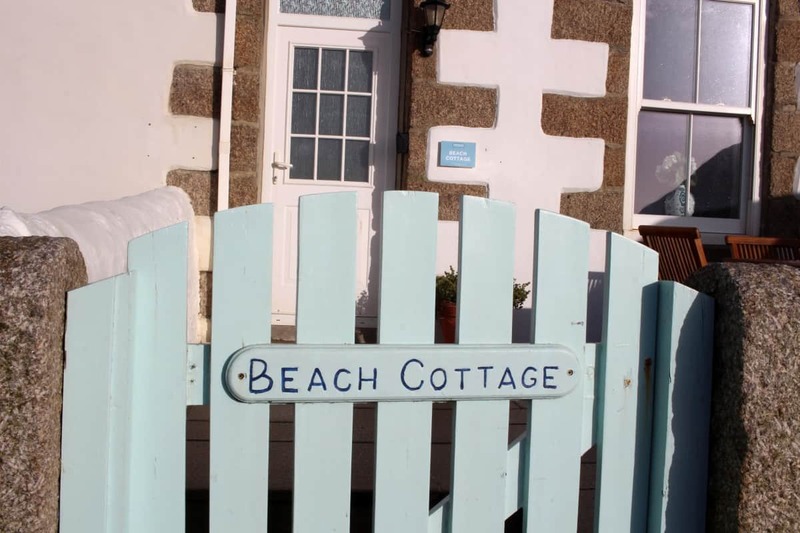 The only downside to Beach Cottage for us was a lack of parking on site. We were advised to park up the hill from the cottage – but it was all double yellow lines which I would never park on – so instead we parked a few streets away. We were also given a parking permit for the shipyard but as this was at the other side of Porthleven it made more sense to park closer on a different residential road. If we’d been travelling with another adult or with older children the parking wouldn’t have been a problem – we would have happily walked further or dropped our stuff off and one of us would have stayed with the children and the other would have gone to park the car. 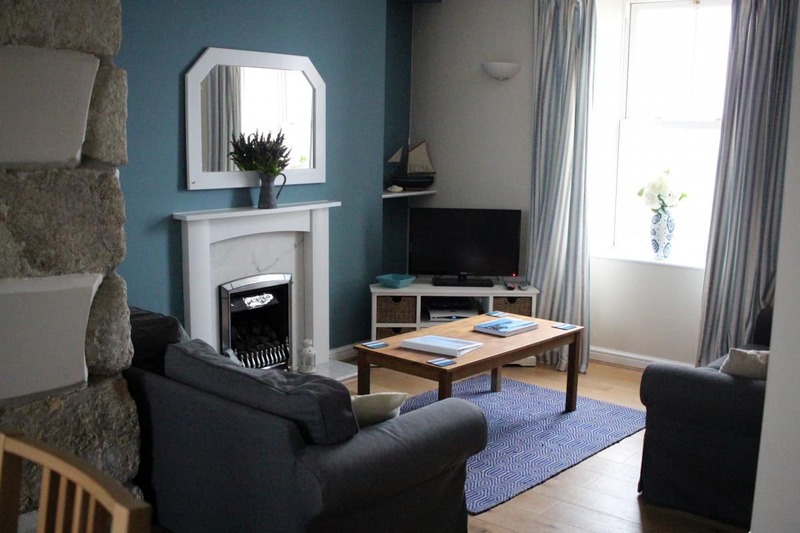 But, parking aside we had a really lovely break in Porthleven and Beach Cottage was a great place to stay for a family getaway. 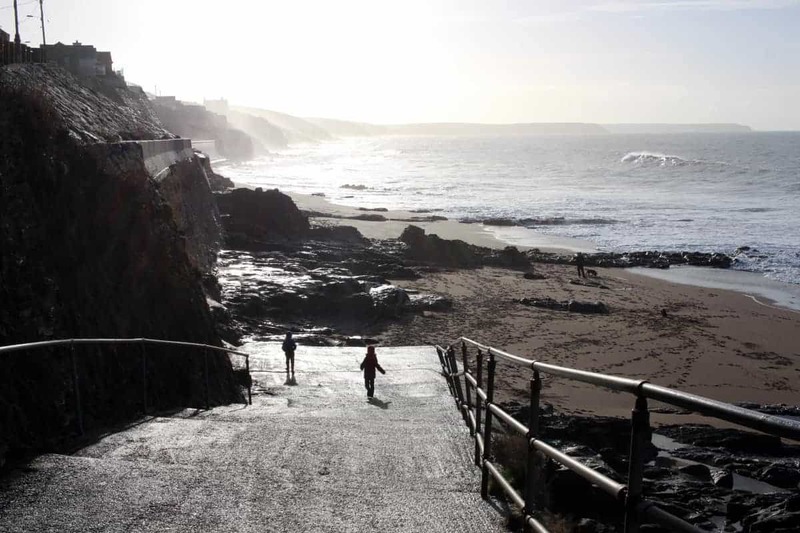 There’s everything you could possible need in Porthleven and it’s beautiful both during the day and at night. The waves crashing against the cliffs were quite impressive and it really was the perfect seaside break. 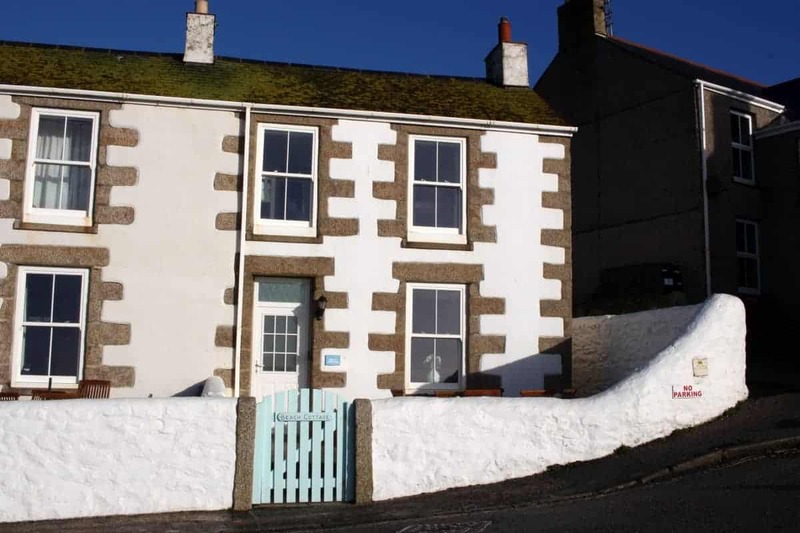 I’d happily holiday with Porthleven Holiday Cottages again.